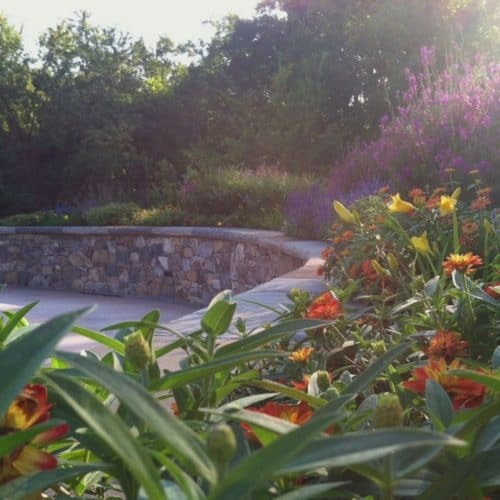 Little Falls Park is a 3-acre public garden designed in collaboration with the City of Greenville, Carolina Foothills Garden Club and the family of Pedrick Lowery. The overall design coordinates multiple ideas and is comprised of The Sunflower Gardens, The Botanical Bridge, CFGC Botanical Garden and the Mill Ruin Stage. 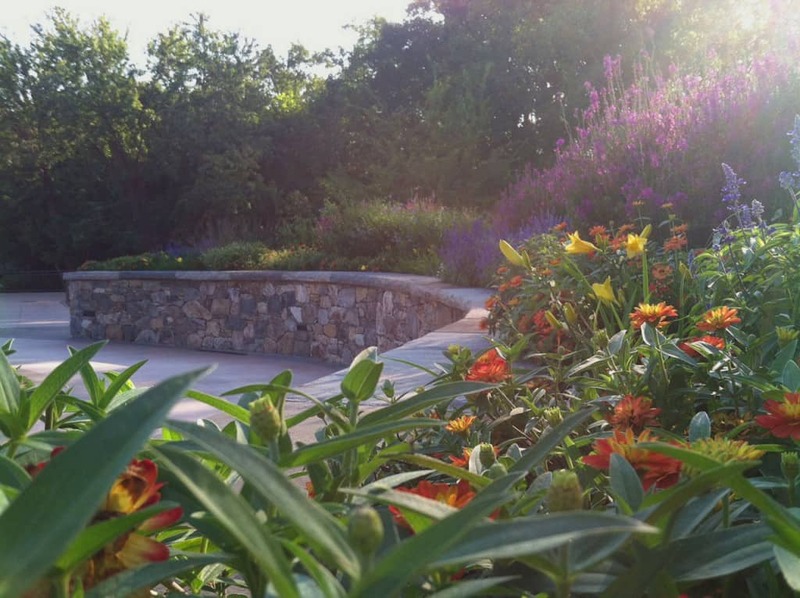 The Sunflower Gardens were inspired by Pedrick Lowery’s enthusiasm for gardening. 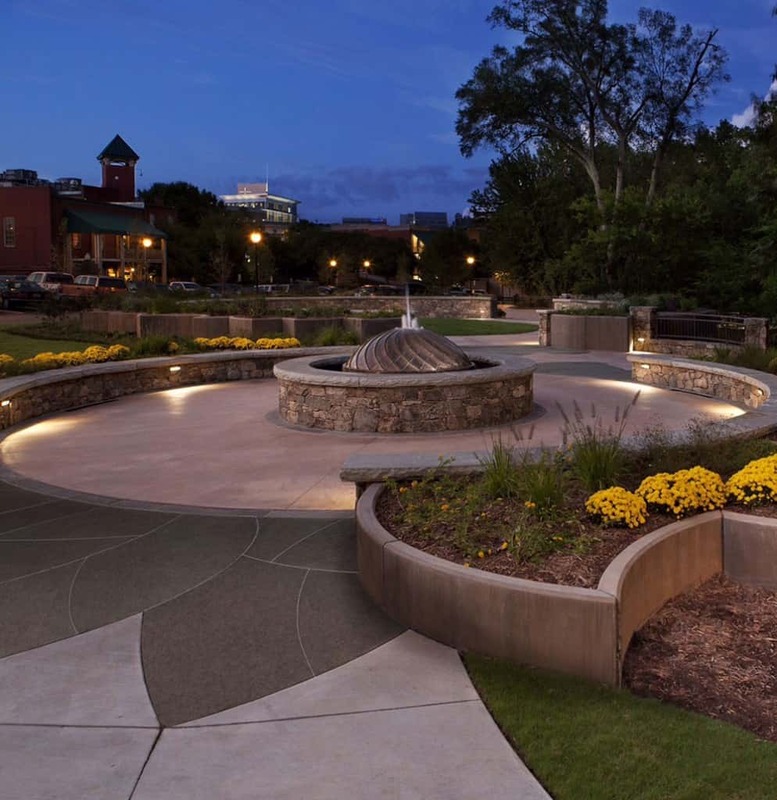 Pedrick, as a member of the Carolina Foothills Garden Club, was influential in creating the well-loved public space, Falls Park, in downtown Greenville, South Carolina, adjacent to Little Falls Park. At the center of one sunflower-shaped garden is a cool misting fountain, which highlights the complex pattern at the center of the sunflower. From above, the sunflower shapes of the newly-planted beds is evident. The raised beds of weathered steel are shaped like sunflower petals and showcase ornamental plants. Photos, except where noted, are by Edward A. Kinney, Senior Landscape Architect, City of Greenville Parks & Recreation.